What is 3D printing and how does a 3D printer works? 3D printing technology:What is it and how it works? How does a 3D printer works? 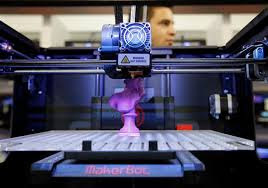 3D printing, refers to processes used to synthesize a three-dimensional object in which successive layers of material are formed to create an object. In broader sense the term additive manufacturing (AM) is used in synonym with 3D printing.3D printing can be used to mould almost any shape or geometry and are produced using digital model data from a 3D model or another electronic data source. Early additive manufacturing equipment and materials were developed in the 1980s.A man named Chuck Hull is the patent holder of 3D printing. 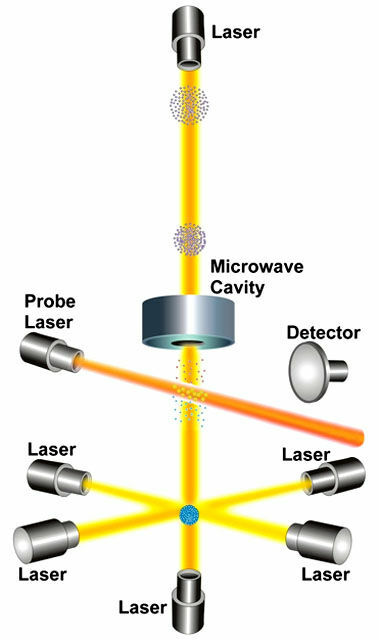 Then in 1984, Chuck Hull of 3D Systems Corporation developed a prototype system based on a process known as stereolithography, in which layers are added by curing photopolymers with ultraviolet light lasers. Hull defined the process as a "system for generating three-dimensional objects by creating a cross-sectional pattern of the object to be formed.After that in late 80s and early 90s, numerous other 3D printing technologies have been developed, such as Fused Deposition Modeling (FDM)/Fused Filament Fabrication (FFF), Selective Laser Sintering (SLS), PolyJetting and others, all of which rely on layer-by-layer fabrication and are based on a computer code fed to the printer. How Do 3D Printers Work? 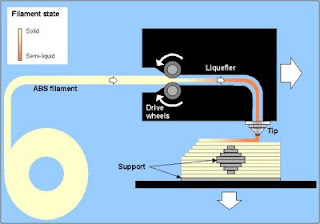 3D printing can be achieved by number of techniques called stereolithography(SL), Fused Deposition Modeling (FDM)/Fused Filament Fabrication (FFF), Selective Laser Sintering (SLS), PolyJetting etc.Let us have a look at each technology.In every process ,printer is controlled by a computer that converts 3D model file into a special code stream that can be understood by a 3D printer machine. Stereolithography is the first form of 3-D printing technology used for creating models, prototypes, patterns, and production parts in a layer by layer fashion using photopolymerization, a process by which light causes chains of molecules to link together, forming polymers. 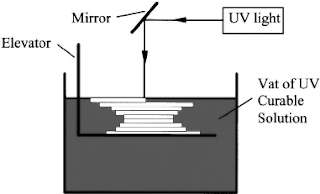 It is an additive manufacturing process that works by focusing an ultraviolet (UV) laser on to a vat of photopolymer resin. ]With the help computer aided design software (CAD), the UV laser is used to draw a pre-programmed design or shape on to the surface of the photopolymer vat. Because photopolymers are photosensitive under ultraviolet light, the resin is solidified and forms a single layer of the desired 3D object This process is repeated for each layer of the design until the 3D object is complete. 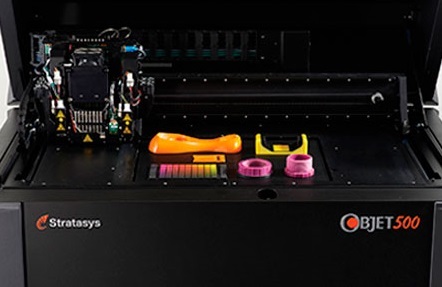 3D printers that run on FDM Technology build parts layer-by-layer from the bottom up by heating and extruding thermoplastic filament. The process involves three steps. 1. Pre-processing: Build-preparation software slices and positions a 3D CAD file and calculates a path to extrude thermoplastic and any necessary support material. 2. Production: The 3D printer heats the thermoplastic to a semi-liquid state and deposits it in ultra-fine beads along the extrusion path. Where support or buffering is needed, the 3D printer deposits a removable material that acts as scaffolding. 3. Post-processing: The user breaks away support material or dissolves it in detergent and water, and the part is ready to use. This is one of the simplest and widely accepted for small scale use at home and offices. Selective Laser Sintering (SLS) involves the use of a high power laser to fuse small particles of plastic, metal, ceramic, or glass powders into a mass that has a desired three-dimensional shape. The laser selectively fuses powdered material by scanning cross-sections generated from a 3-D digital description of the part (for example from a CAD file or scan data) on the surface of a powder bed. After each cross-section is scanned, the powder bed is lowered by one layer thickness, a new layer of material is applied on top, and the process is repeated until the part is completed. Polyjetting was invented by the Israeli company Objet. PolyJetting incorporates elements of both inkjet 2D printing and the Stereolithography process. In polyjetting inkjet nozzles spray a a liquid photosensitive resin onto a build platform in a similar fashion as ink is sprayed onto a paper during a typical 2D printing process.Immediately after the spraying UV light source is introduced to the material.Next layer is grown immediately after previous layer is hardened. 3D printing :Where it is used? Additive manufacturing in combination with cloud computing technologies allows decentralized and geographically independent distributed production.Cloud-based additive manufacturing refers to a service-oriented networked manufacturing model in which service consumers are able to build parts themselves. Some companies offer on-line 3D printing services to both commercial and private customers,working from 3D designs uploaded to the company website. 3D-printed designs are either shipped to the customer or picked up from the service provider. Advantage of 3D printing for rapid manufacturing lies in the relatively inexpensive production of small numbers of parts. At present prototyping is the main application of 3D printing.With the help of 3D printing engineers can finish prototypes within the time bound. Foods like chocolate,candy,flat foods such as crackers, pasta and pizza can be easily prepared by layer by layer 3D printing.Customization of such food items has also been become possible via 3d printing. 3D printing has entered the world of clothing with fashion designers experimenting with 3D-printed sandals, shoes, and dresses.In commercial production Nike is using 3D printing to prototype and manufacture the 2012 Vapor Laser Talon football shoe for players of American football, and New Balance is 3D manufacturing custom-fit shoes for athletes. 3D printing is helpful in manufacturing different automotive parts. Urbee is the name of the first car in the world car mounted using the technology 3D printing (its bodywork and car windows were "printed"). In May 2015 Airbus announced that its new Airbus A350 XWB included over 1000 components manufactured by 3D printing. 3D printing is also being utilized by air forces to print spare parts for planes. Construction 3D printing, the application of 3D printing to fabricate construction components or entire buildings has been in development since the mid 1990s, development of new technologies has steadily gained pace in recent years. 3D printing has been used to print patient specific implant and device for medical use. Research is also being conducted on methods to bio-print replacements for lost tissue due to arthritis and cancer. 3D printing technology can also be used to make exact replicas of organs. The printer uses images from patients' MRI or CT scan images as a template and lays down layers of rubber or plastic. This will be of great help to physicians to study their patients better. 3D printing can also be used to make electronic circuits and devices. In semiconductor industry ,3D printing technology is getting wider acceptance for prototyping and manufacturing. Kuri ,the home robot was one of the main attraction of CES (Consumer Electronics Show ) 2017 held at Las Vegas.Kuri is developed by robotic start-up Mayfield Robotics,which is backed by international technology conglomerate Bosch. Kuri is bit different from it's competitors Amazon Echo or Google Home robots. Rather than controlling internet-connected devices or answering questions , Kuri’s main functions is to complete simple task around the house, like reading bedtime stories to your kids or following you around home or playing your favourite music. It can take videos while roaming around the home.In short ,Kuri is a perfect companion for Kids ,elders or some one sitting home alone. Mayfield robotics has also included a bit of artificial intelligence in this home companion. What all things Kuri can do? Kuri has got a wonderful personality.Kuri can make every day easier, brighter, and more connected. With emotive eyes and a friendly disposition, Kuri will always inspire and create connections in your home. Kuri quickly learn your home's floor plan, where stairs are, and which room belongs to whom. Kuri learns the rhythm of your household, can wake you in time for work and greet you when you come home at night! Kuri's eyes aren't just adorable, they're equipped with a camera that can capture photos and video. He can even recognize faces and monitor your home when you're not there. Kuri speaks robot and only robot. It's a purposeful language of friendly chirps and beeps that are fun to learn. The more you interact with him, the more you will understand. Kuri's audio capabilities lets you listen to your favorite songs, audiobooks and podcasts. You can even send her into your kids' room to tell a bedtime story. She can also connect to any entertainment hub you have in your home. You'll always be connected with Kuri through the Kuri app. Use your favorite devices to set up and monitor tasks, review activity, or have him patrol your house when you're not home. There's a lot of innovation behind Kuri's lovable personality.Every component in Kuri works dynamically to bring out a real sense of personality. head will make Kuri look uo at you and chirp affirmingly. Kuri's camera located behind his eyes.It can capture HD pictures and videos under different lighting conditions.Live streaming capabilities let Kuri be your eye around the house when you are not there. Intricate gestural mechanism makes Kuri's head and eye movements fluid and natural.She can blink her eye,look up,down and from side to side. Kuri is equiped with four microphone that help her locate sounds more precisely.Kuri can recognize different type of voices,can detect unusual sound and detect from which direction sound is coming. A soft warm light helps Kuri convey a sense of mood.With colours representing different emotion states ,you will always know kuri is happy, or if he's just thinking. from cliffs and obstacles in his path. wide range of flooring and carpets. Her CPU handle everything from facial and speech recognition, to mapping and enetertaining. for a power nap between activities and tasks. 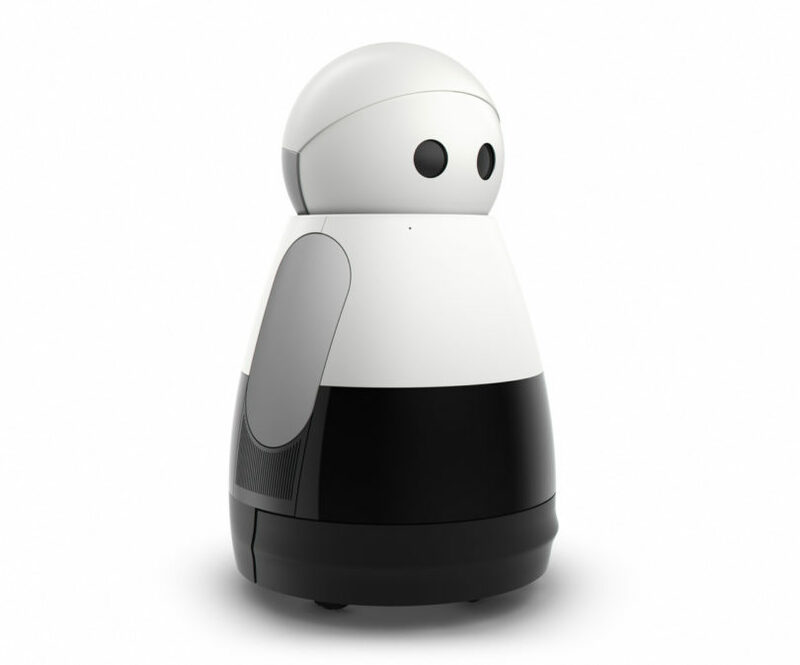 On mayfield robotics official site it says"Meet Kuri, the adorable home robot, just $799. Reserve yours with a $100 deposit'.A price hike will effect from March 1st 2018($899 after March 1st). 'When will self driving cars be available? 'Many people are searching this phrase in different search engines.What this implies?.People are eagerly waiting for a perfect driverless car.Autonomous cars are already out there in market.But are they safe enough?Are they ready to compete with cars driven by humans?To what extent these vehicles are autonomous?.Questions goes like that.Let us see how far self driving car technology has reached so far.In this article let us have a look at current self driving car technologies and autonomous car researches happening around the world. How do self driving cars work? 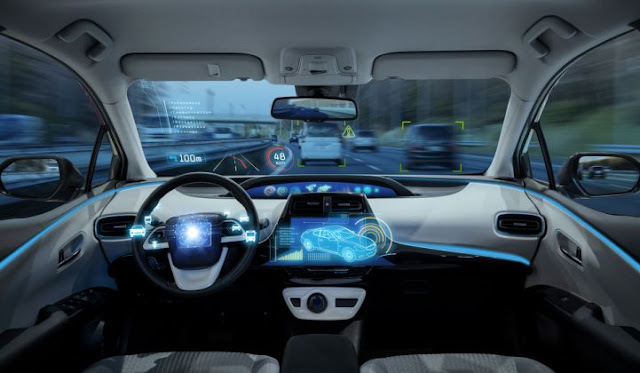 An autonomous car (driver-less car, self-driving car, robotic car) is a vehicle that is capable of sensing its environment and navigating without human input.Autonomous cars can detect surroundings using a variety of techniques such as radar, lidar, GPS, odometry, and computer vision. Principal functions of a autonomous driving system can be categorized into to three. Sensing:Autonomous cars can detect surroundings using a variety of techniques such as radar, lidar, GPS, odometry, and computer vision. Decision making/planning:Decision making can be done by programmed processors.It can be also achieved by artificial intelligence systems. Control/executions:Decision based on the input by sensors should reflect in vehicle movements.This is primarily done by actuators which regulate speed and direction of the vehicles. How far we have reached in autonomous vehicle technology? Many companies have developed self driving machines so far.Some of the notable projects are discussed here. According to google ,"google cars use their sensors and software to sense objects like pedestrians, cyclists, vehicles and more, and are designed to safely drive around them"
The car processes both map and sensor information to determine where it is in the world. Self driving car knows what street it's on and which lane it's in. Sensors help detect objects all around us. The high end software classifies objects based on their size, shape and movement pattern. It detects a cyclist and a pedestrian in this case. The software predicts what all the objects around us might do next. It predicts that the cyclist will ride by and the pedestrian will cross the street. The software then chooses a safe speed and trajectory for the car. Car nudges away from the cyclist, then slows down to yield to the pedestrian. Google team is working toward vehicles that take you where you want to go at the push of a button. Google is adding components to existing cars like their Lexus SUVs, then began designing a new prototype from the ground up to better explore what should go into a fully self-driving vehicle. They managed to remove the steering wheel and pedals, and instead designed a prototype that lets the software and sensors handle the driving. Google started the self-driving car project in 2009.In 2009, they started testing self-driving technology with the Toyota Prius on freeways in California.In 2012, they began testing with the Lexus RX450h. Next, google cars shifted focus to city streets, a much more complex environment than freeways.Google unveiled an early construction of their new prototype vehicle in 2014. It’s designed from the ground up to be fully self-driving. After months of testing and iterating, google delivered first real build of their prototype vehicle in December 2014.Still google is continuing research and development of their self driving cars.Before going into the commercial production they have address a serious of problems including self driving cars compatible roads,signal systems,precise navigation technology etc.Few crashes were also reported recently which demand google more safe autonomous vehicles in the future. Google is publishing its Self-Driving Car Project Test Report every month.You can check Google Self-Driving Car Project Monthly Report from below link. Tesla Self driving car project. Leading electric car manufacturer Tesla claims 'All Tesla Cars Being Produced Now Have Full Self-Driving Hardware needed for full self-driving capability at a safety level substantially greater than that of a human driver'.Eight surround cameras provide 360 degree visibility around the car at up to 250 meters of range. Twelve updated ultrasonic sensors complement this vision, allowing for detection of both hard and soft objects at nearly twice the distance of the prior system. A forward-facing radar with enhanced processing provides additional data about the world on a redundant wavelength, capable of seeing through heavy rain, fog, dust and even the car ahead. Tesla promises they will further calibrate the system using millions of miles of real-world driving to ensure significant improvements to safety and convenience. Apart from google and Tesla, leading automobile manufactures like Volvo,BMW,Mecedez etc.. are also have launched their own versions of fully/partially autonomous vehicles. Delphi-Mobile eye duo is adding computer-chip giant Intel to the partnership to accelerate a project meant to deliver a fully self-driving vehicle system by 2019. Reports suggest that Apple is developing an electric iCar to rival Tesla.Apple is now focusing on an autonomous driving system.Apple has not made official announcement regarding its driver-less car projects.But,with news of a letter penned by Apple to US transport regulators about self-driving cars strengthens the rumours of iCar project under cover. Creating (and maintaining) maps for self-driving cars is difficult work.Google's self-driving cars work by relying on a combination of detailed pre-made maps as well as sensors that "see" obstacles on the road in real time. Both systems are crucial and they work in tandem. Driving is an intensely social process that frequently involves e interactions with other drivers, cyclists, and pedestrians. In many of those situations, humans rely on generalized intelligence and common sense that robots still very much lack.Artificial intelligence can solve this problem to an extent. Bad weather makes self driving more complex and trickier.Conditions like wet and slippery roads,bad visions in fog etc.. Better Roads:Especially in developing and under developed countries putting self driving machines on road is not going to be accomplished in near future.Self driving requires compatible roads.Such roads should have perfectly marked lanes,fool proof signal systems etc.. Better software:Driving in the United States is actually incredibly safe, with fatal crashes occurring once every roughly 3 million hours of driving. Driverless vehicles will need to be even safer than that. Reckless Drivers/Unpredictable Humans:Predicting behaviour of a reckless/drunken driver is nearly impossible. Law and regulations:requires a completely new set of laws and regulation for these category of vehicles. Since 81 percent of car crashes are the result of human error,there would be fewer accidents, as human error would be nullified. It would be accessible to anyone. Children, senior citizens, visually-impaired or other impaired citizens. There would be a reduced need for road signage, as the car would receive information electronically through signals. There would also be a better management of traffic flow, which would be monitored over a controlled system. Less parking structures and parking headaches would be required, since your car could actually drop you off and locate a parking space farther away. There would be fewer cars on the road, as families would only need one car to suit the needs of every member. This would sequentially cut down on carbon dioxide emissions, thus being more environmentally friendly. Sensors in the autonomous cars allow vehicles to ride closer together, therefore allowing more cars on the road with actually less traffic. Car enthusiasts would most certainly disagree to give up driving their own vehicle. To many, driving a car means much more than reaching a simple destination, as it seems to be reduced to when adopting autonomous cars. It would be an economic disaster, if autonomous cars were implemented everywhere. Job losses would be monumental, as there would no longer be a need for professional drivers, such as cab and lorry drivers. Autonomous cars would be much more expensive to buy, not to mention setting up electronic sensors on every accessible road or highway. Autonomous vehicles rely heavily on GPS satellites. If a signal were to be blocked, this would affect the cars functionality. The most savings in terms of cost, time, and lives is going to come from when more people "opt in" to the service. If self-driving cars are not adopted widely, accidents can and will still happen. If other technology fails, such as traffic signals that the cars rely on, there's no accounting for human traffic signals. Autonomous vehicles are still undergoing research and can’t be trusted to operate without error, until further advances are made. Until then, they should be kept as ideal prospect for the future, which should still be visualized with caution. At present self driving car technology is in its amateur phase.Autonomous vehicle technology will be one of the most competitive field in coming years.Many leading companies are working on autonomous vehicle technology.Lets hope this competition will bring out a perfect model of a driverless car in near future. Atomic clock -World's most accurate clock-How does it works? Types of clocks and basic principle behind a clock. What is a atomic clock? How does an Atomic Clock works? Before going into the atomic clock, let us see what a clock really is. A clock's job is to measure passage of time. All clocks do this by measuring some sort of resonation of one or another material. Let us have look at some commonly used clocks. pendulum clock :In a pendulum clock, the resonator is a pendulum and the gears in the clock keep track of time by counting the resonations (swinging) of the pendulum. The pendulum resonates at a frequency of one swing per second. Digital clock: It either measures oscillations on power line or oscillation provided by an electronics circuit. In US power supply oscillates at 60 cycles per second and in Europe and Asia power supply oscillates at 50 cycles per second. Quartz clock: In this type of clocks ,on supply of electric current quartz crystal oscillates at a particular frequency. This resonating frequency is converted into measurable form with the help of gears. In an atomic clock an ‘atom’ or a ‘molecule’ is the resonator. In every clock accuracy of resonator determines accuracy of time. An atom resonates at extremely consistent frequency. This ensures the accuracy of an atomic clock. In all other clocks resonator is manufactured, so, there is limitation in accuracy that can be obtained from such resonators. When exposed to certain frequencies of radiation, such as radio waves or microwaves the electrons that orbit an atom's nucleus will "jump" back and forth between energy states. The electrons absorb energy to move to a higher energy level (away from the nucleus), and release energy to move down an energy level (towards the nucleus). This “jumping” happens at extremely consistent frequency .Clocks based on this jumping within atoms can therefore provide an extremely precise way to count seconds. Commonly used atoms in an atomic clock: Currently caesium (33Cs) is the widely used one,but rubidium (87Rb) and thallium (205Tl) were used earlier. Working of an Atomic clock. There are many atomic clocks around the world. Out of which, NIST-F1 Cesium Fountain Clock is one among the most accurate clocks.It is developed by National Institute of Standards and Technology (U.S. Department of commerce) . The uncertainty of NIST-F1 is continually improving. 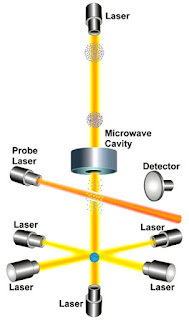 As of January 2013, the uncertainty has been reduced to about 3 x 10-16, which means it would neither gain nor lose a second in more than 100 million years .NIST-F1 is referred to as a fountain clock because it uses a fountain-like movement of atoms to measure frequency and time interval. Definition of a second: According to The International System of Units (SI) "The second is the duration of 9192631770 periods of the radiation corresponding to the transition between the two hyperfine levels of the ground state of the caesium 133 atom. This definition refers to a caesium atom at rest at a temperature of 0 K "
What is the need of an atomic clock?..It has got many applications in our life.Some of them are listed below. 1.GPS and similar navigation systems:In GPS our position is calculated based on the time taken by the signal to travel between GPS satellites and receiver. To determine position with high precision even billionths of a second is significant. 2. Telecommunications systems require synchronization better than 100 billionths of a second . 3. Electrical power companies use synchronized systems to accurately determine the location of faults (for example, lightning damage) when they occur and to control the stability of their distribution systems. 4. In space exploration, radio observations of distant objects in the universe, require exceedingly good atomic reference clocks. And navigation of probes within our solar system depends critically on well-synchronized control stations on earth. 5. The time-related quantity called frequency, basically the rate at which a clock runs, is needed by the radio and television broadcast industry to maintain proper control of transmissions and thus avoid interference between stations. 6.Using the internet every computer can synchronize its time setting with a centralized time server – the atomic clock time server – so that all the computer times all around the world can use standardized settings, even though they are scattered through different time zones. Most operating systems (i.e. Windows, Mac, Linux) have an option to automatically synchronize the system clock periodically using an NTP (network time protocol) server: NIST is offering a network time service to deliver UT1(Universal Time) time. 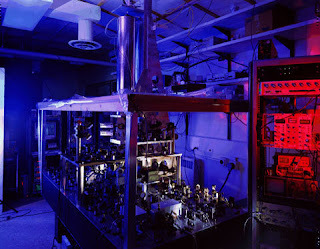 Still atomic clock researches are going around the globe .And scientists are coming up with more and more accurate atomic clocks. In this era of smartphones most of us will be familiar with GPS (Global Positioning System).It helps us in position tracking and navigation. But did you ever wonder how GPS works?. GPS was built by the US military and has been fully operational since 1995. Now countries like Russia(GLONASS), China, India(IRNSS-not fully operational) and European union possess their own positioning and navigation systems. GPS uses a lot of complex technologies, but basic concept is simple. There are three parts for GPS system: A 24 to 32 solar-powered satellites orbiting the earth in orbits at an altitude of approximately 20000 kilometers(24 satellites are operational at a time), a control station and a GPS receivers such as the one in a car or a GPS enabled smartphone. GPS system uses a mathematical principle called trilateration to locate position. The orbits of satellites are designed so that there are always 4-6 satellites in view, from most places on the earth. At least signals from three satellites are needed to carry out trilateration process. Let us assume you are lost some where in Australia. One of your friend in Adelaide told you,you are 650 kms away from him, which means you could be any where on the circle with radius 650 kms and centre Adelaide. Like that Another friend from Sydney told you, you are 700 kms away from him. Now you know you are on either point p1 or p2 (marked in below figure). This method of locating position is called trilateration. This same concept works in 3 dimension. But , instead of circles you should think in terms of spheres. Assume 3 satellites are visible to your GPS receiver. Name them A,B and C. If you know your distance from A , you could be anywhere on the surface of a huge sphere of that radius. If you know your distance from satellite B you can overlap 1st sphere with 2nd and they intersect in a perfect circle. Now you know you are somewhere on circle. So If you know distance to a third satellite C you got a third sphere which intersects with this circle at to points. And earth acting as fourth sphere ,you can eliminate point in space because you are on earth. 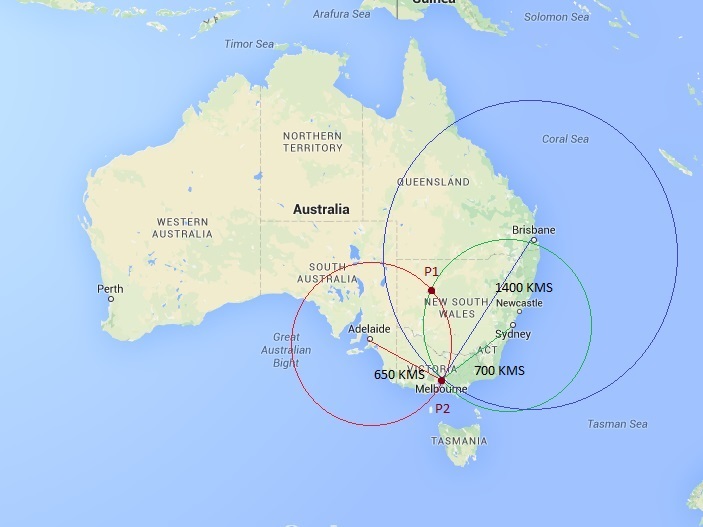 How GPS receiver determines distance from satellites. Conventional GPS :To determine the location of the GPS satellites two types of data are required by the GPS receiver; the almanac and the ephemeris. This data is continuously transmitted by the GPS satellites and your GPS receiver collects and stores this data. The almanac contains information about the status of the satellites and approximate orbital information. The GPS receiver uses the almanac to calculate which satellites are currently visible. Ephemeris gives very precise information about the orbit of each satellite. Your GPS receiver can use the ephemeris data to calculate the location of a satellite precisely. A-GPS(assisted GPS):GPS receiver in our cell phones are example of a A-GPS. The A-GPS device will use a data connection (internet connection on a cellphone) to contact an assistance server. The server can supply almanac and ephemeris data so the GPS doesn't have to wait to receive them from the satellites. This improves first locking speed considerably. 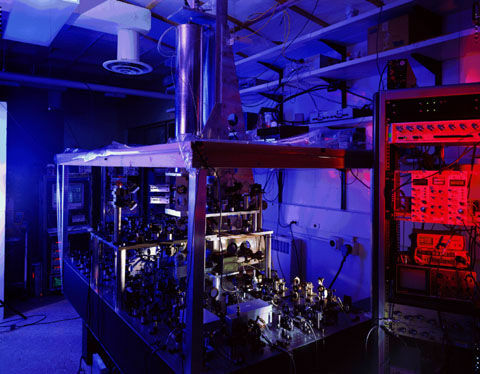 Atomic clocks are high precision clocks used in scientific applications. Since GPS satellites transmits time signal to the receivers it is important to keep precise timing equipment on board . Every single GPS satellite is home to a family of atomic clocks (typically four) that derive their time from cesium or rubidium atoms. In these clocks the energy difference between two specific atomic states is measured. When an atom changes from the high-energy state to the lower energy state, the energy difference is emitted in the form of light. The frequency, or ticking rate, of this light is what we count and how we define time. This energy difference is always the same. These clocks are so precise that it won’t lose a second for 15 billion years. Though GPS satellites have atomic clocks that keep very precise time, it's not feasible to equip a GPS receiver with an atomic clock. However, if the GPS receiver uses the signal from a fourth satellite it can solve an equation that lets it determine the exact time, without needing an atomic clock. Real working of GPS system is much more complex.Hope this article gave you an idea about basic navigation system,GPS satellite and their working principle. What is Graphene?What can Graphene do in electronics? © Copyright 2015 eZoneToday. Designed by Bloggertheme9.